A parent’s love for their child is often considered a sacred bond that goes beyond the standard boundaries of companionship and comfort. There are tales of parents performing inordinate, and sometimes metaphysical, acts of strength and courage in order to protect their children. On the darker side of the coin, parental love can bring about actions that, whilst unfathomable to the outsider, are entirely justifiable in the heart and mind perpetrator. 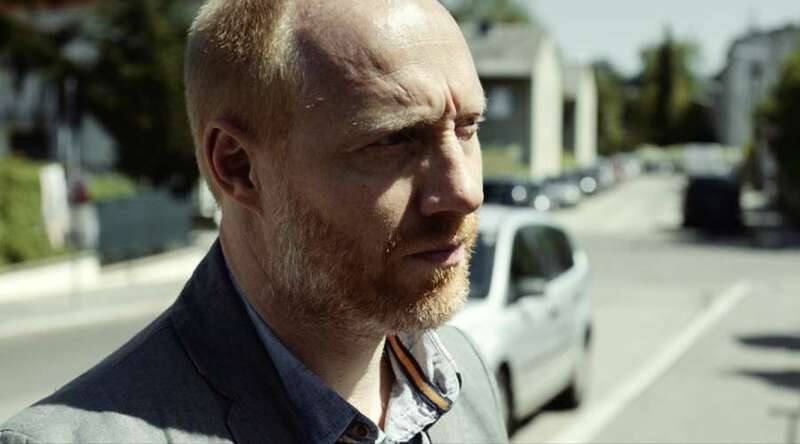 Alles Wir Gut is a short film written and directed by Patrick Vollrath. It a piece about a journey taken by father Michael Baumgartner (Simon Schwarz) and his daughter Lea (Julia Pointner) that starts off as any daddy-daughter day out might, but slowly reveals itself as a more suspicious undertaking. With films such as this, given its dark subject matter and short runtime. It would be wrong to divulge the story, as such it is best left described as a taut, suspenseful and bleak tale of a broken man’s love, and the tragic acts he is driven to in order to keep this bond firm. Essentially a two character play, Schwarz and Pointner are fantastic in their respective roles. Schwarz masterfully contrasts the everyday loving father figure Michael with masterful moments of panic, fear and desperation. Pointner’s daughter is a child performance par excellence. Pointner’s segue from cheerful to suspicious, ultimately frightened, is played with genuine authenticity, a testament to the young performer’s talent, especially as this is her first film role ever. Shot with a sense of watch-checking panic, the film visually become darker as the tone shifts. Vollrath’s script is sharp and sparse, using minimum dialogue to create maximum impact. I have a mindset about films shot on upsetting, true-to-life subjects: You need to absolutely nail it, particularly in script and performance, or your might as well not bother. Alles Wir Gut succeeds in every department, being a realistic, gripping, superbly performed and tightly shot film, capturing the bitter darkness that can lie at the heart of unconditional love. Alles Wir Gut has gone on to win multiple awards worldwide since its release, and it absolutely deserves every one of them.